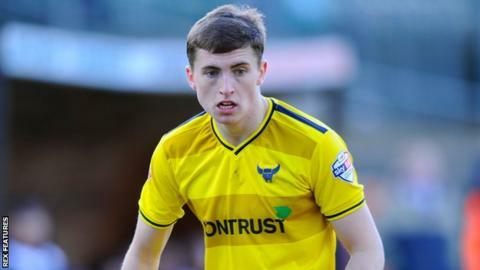 Oxford United have extended the loan of right-back Jonjoe Kenny from Premier League side Everton until the end of the season. The 19-year-old will now be eligible to play against Barnsley in the Football League Trophy final on Sunday. Kenny, who joined up with the England Under-20 squad over Easter, has so far made 13 appearances for the U's. "He has done really well for us and is enjoying his football," said Oxford head coach Michael Appleton. "He is highly thought of at Goodison Park and has a big future."